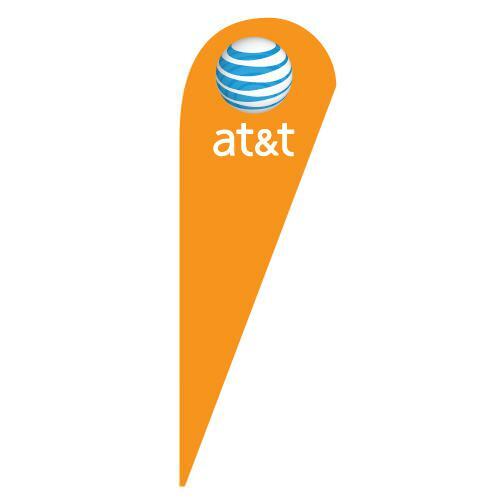 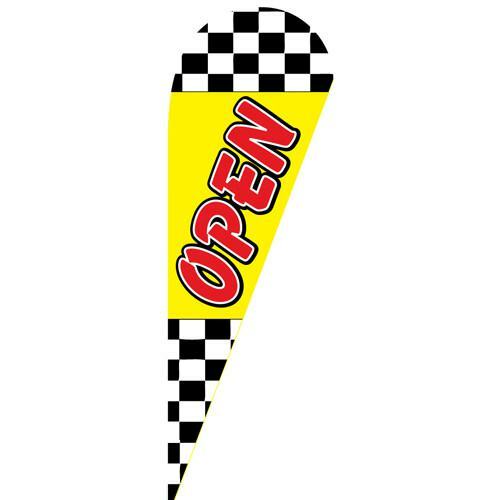 Open checkered Teardrop Flag are perfect for sales, new businesses, and grand openings. 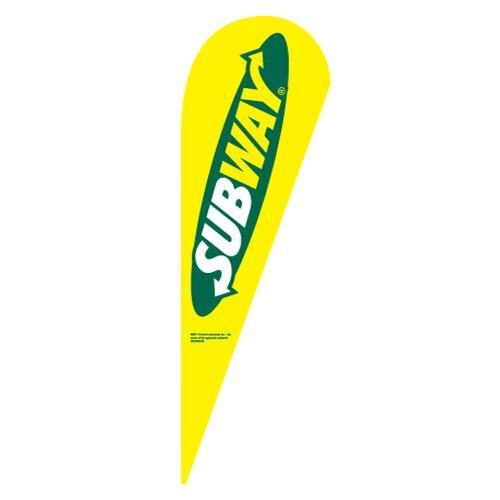 Low-cost and easy to install make these banners ideal for all new and current businesses. 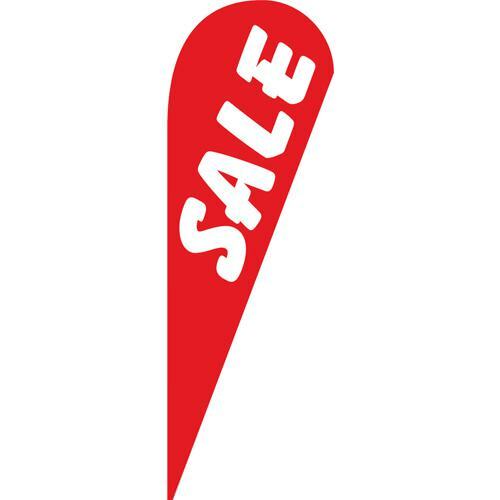 This flag has checkers on the top and bottom in black and white. 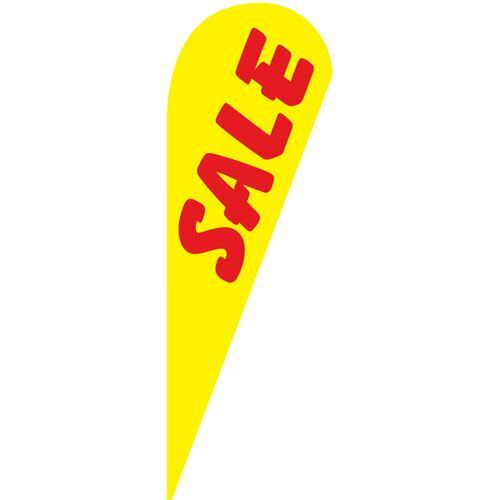 The middle portion of the banner is yellow with the text “Open” printed on it in a bold red font.